It’s Robot Block Party time! Our members have been super busy – from helping to support the Robot Block Party segment on The Rhode Show this week, to extended hours in the workshop making team tshirts, designing wobble bots, building robot race boards, creating info fliers, and building amazing surprises for the Robot Block Party event! It’s a robot block party! 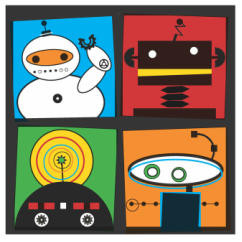 We hope to see you at the Robot Block Party on Sunday, April 30th from 11 – 4. 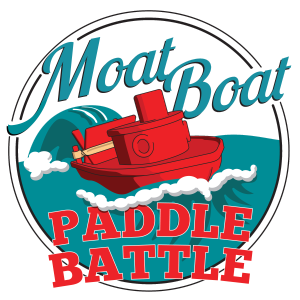 We’re bringing the Moat Boat Paddle Battle local! If you haven’t been able to join us at any of the Maker Faires we’ve been to, this is your chance to show your design skills by building the fastest boat in the moat – locally! 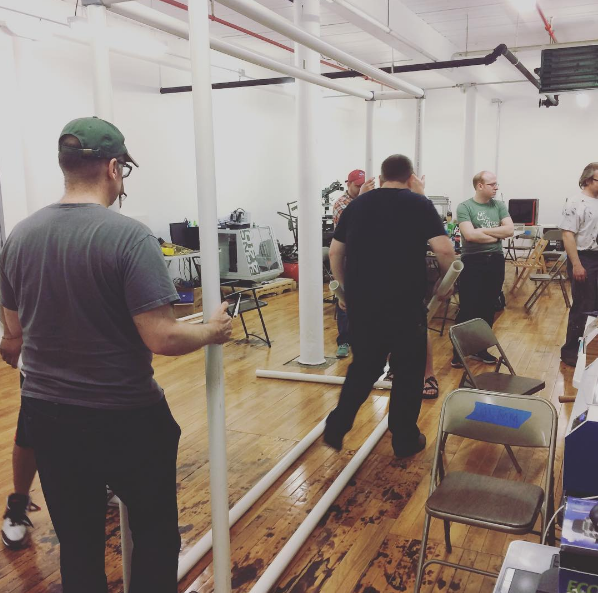 Join us on Wednesday, February 8th 2017 for the 3DPPVD meetup at OSMM at 7pm and race your boat! Make sure to follow the rules – they can be found here: Open class rules. Anyone looking to race must register with us ahead of time. To register, please fill out the link below. Need some inspiration to get started? Sample boats can be downloaded here. 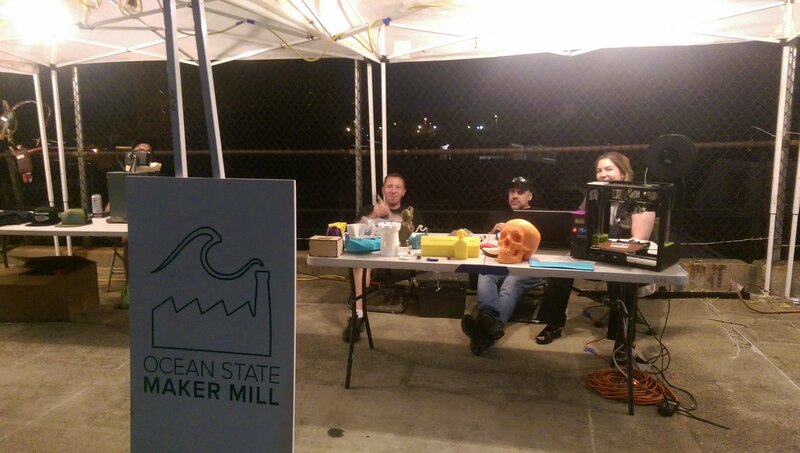 We’ll hold the races at Ocean State Maker Mill, 80 Fountain Street, Pawtucket, RI 02860. No physical prizes for this local race, just racing for fame, glory, and camaraderie! 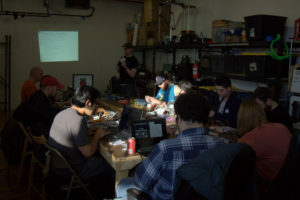 Join Us for Hack Friday! 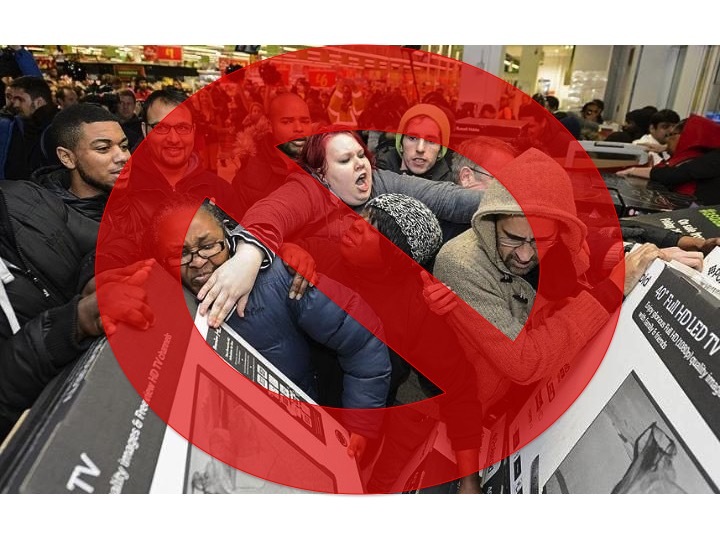 Don’t stand in crazy lines and get in fights to shop for holiday gifts this Black Friday! Join us at OSMM, relax, and make your presents instead! Hack Friday > Black Friday! This Friday (11/25) starting at 10 am, stop by OSMM and we’ll help you make one of the following holiday gifts! We have 3 different options to spark the maker in you! Choose 1, 2 or all 3 projects! In the spirit of reduce, reuse, recycle, we’ll be utilizing recycled materials for making. If you have a great time and like what you see, we’re also offering membership gift certificates – for yourself or to give to friends and family! The OSMM workshops are located at 80 Fountain Street, Pawtucket RI, in the Classic Display Building. Use the call box at the door to ring OSMM for entry. We hope to see you there! Moat Boat Paddle Battle is Back! 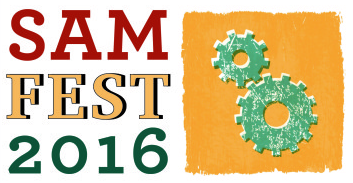 The Moat Boat Paddle Battle is back for World Maker Faire 2016! 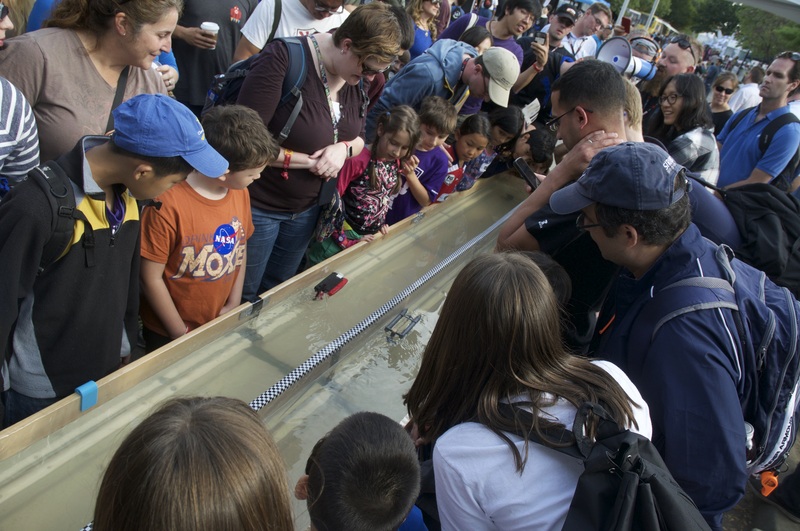 Join us for paddleboat fun on October 1 & 2nd at the NY Hall of Science in Queens. Like last year, we’re sponsored by the amazing folks at SeeMeCNC – and the winner of Sunday’s race will go home with a SeeMeCNC 3D printer! We’re Having an Awesome (OSMM) August! August has been good to the Ocean State Maker Mill crew, and we’ve been able to represent Rhode Island and Pawtucket in a big way over the past few weeks at a variety of events. If we didn’t see you out and about, here’s what you missed! Rhode Island Mini Maker Faire at the Pell-Chafee Performance Center in Providence saw us out in full force with our Augmented Reality Sandbox project, as well as some 3D printer demos. 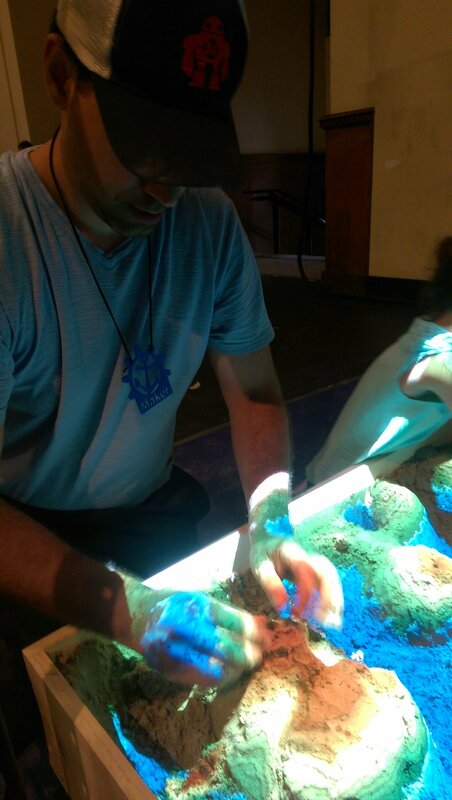 The augmented reality sandbox allows anyone interacting with the sandbox to see real-time changes in the topographical map-style display on the sand, as well as creating landscapes for the fish (in the water) and bunnies (on the land) to reside. We’re working on some cool mods to this project for the future, so stay tuned for when we’ll be bringing it back out to play! We showed some 3d printing art action live at the DotAir festival, amidst projection art and music from a downtown Pawtucket parking garage. We got to meet lots of new friends! We had a “blast” at SamFest this year at the Slater Mill Historic Site in Pawtucket! 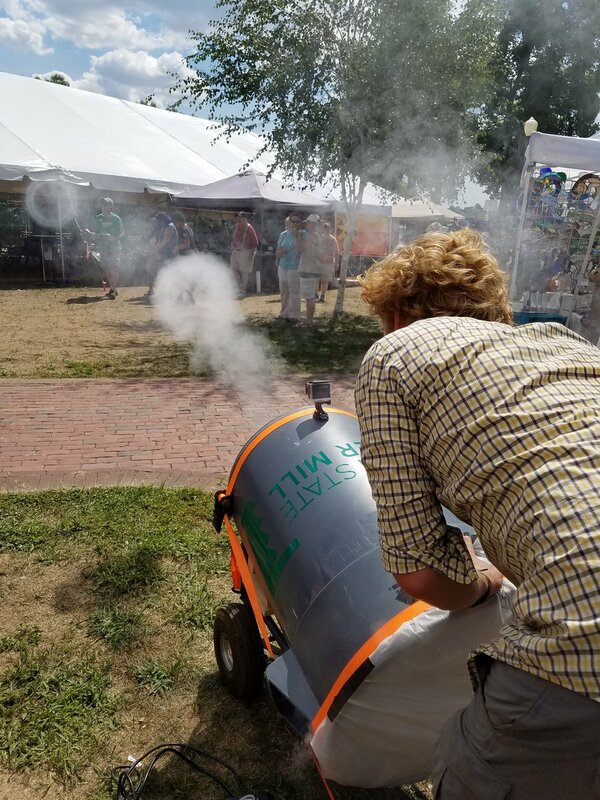 Although we brought our typical 3d printing action, we also built some vortex cannons to entertain the crowd – giving us the ability to blow smoke rings with huge gusts of air. 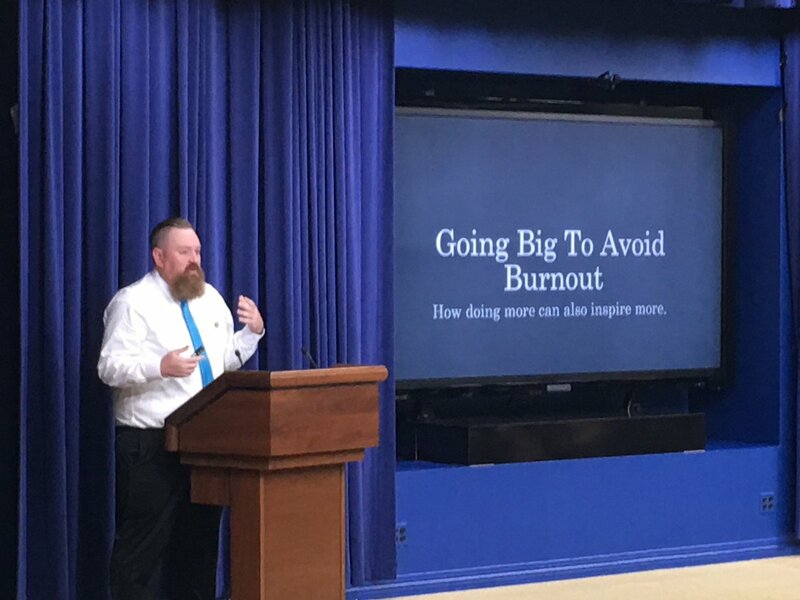 OSMM’s very own Matt Stultz was invited to the Makerspace Organizer’s Meeting in Washington DC at the White House to speak on making and makerspaces, and to collaborate with other makerspace movers and shakers around the country. We can all learn so much when we work together, and building a community is a key part of OSMM’s mission. 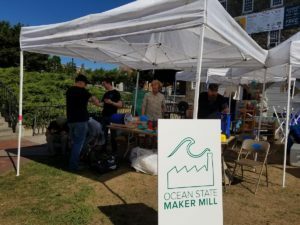 The Ocean State Maker Mill crew will be at several events coming up soon! If you’ve been curious about what we do, would like to meet the team, or know us already and would like to join in the fun – now is your chance! New workshops just added, get your seats while there’s still time! Go from “I’ve heard of a Raspberry Pi” to understanding how this pocket sized computer can be used to make your project come to life. Students will learn the basics of the Python programming language so they can access the Pi’s general purpose I/O pins. Everyone will also go home with a 3D printed case to keep their Pi safe. Students are required to bring their own Raspberry Pi ModelA+, Model B, Model B+ OR Model 2B, and a display device with Wi-Fi. Can be a smartphone / tablet / iPhone / iPad / Android device / laptop. Students are required to bring a display device with Wi-Fi. Can be a smartphone / tablet / iPhone / iPad / Android device / laptop. Please note that space in our workshop is limited, and 1 ticket = 1 attendee seat. Participants must be 14 or older; under 18 requires a parent or guardian. This intermediate level Raspberry Pi workshop takes you through the steps of turning your Pi 2 into a “joke machine” by combining it with the PiFace LCD display module and the Python programming language. The joke machine isn’t just for laughs. You will leave the workshop with new programming skills & your Pi 2 will be more capable than ever before – protected inside a 3D printed case designed especially for your new hardware. Students are required to bring their own Raspberry Pi 2, Model B, and a tablet or laptop with Wi-Fi. A smartphone is insufficient for this level of programming and typing. In the past few years, 3D Printing has exploded in growth and popularity, but what is it… and what can you do with it? Types of 3D Printing technologies. Software for designing 3D printable objects. Software for preparing models for 3D Printing. The greater 3D Printing community. Learn the basics of programming the popular and versatile Arduino micro controller. Students will learn how to setup their Arduino, use digital I/O pins, read analog values, and control physical devices. This class also serves as an introduction programming class teaching the basics of the Arduino language. Students are required to bring an Arduino Uno (or compatible board) and a laptop running Windows, MacOS X, or Linux; please no Android, iOS, or Chrome books. Students are required to bring a laptop running Windows, MacOS X, or Linux; please no Android, iOS, or Chrome books. 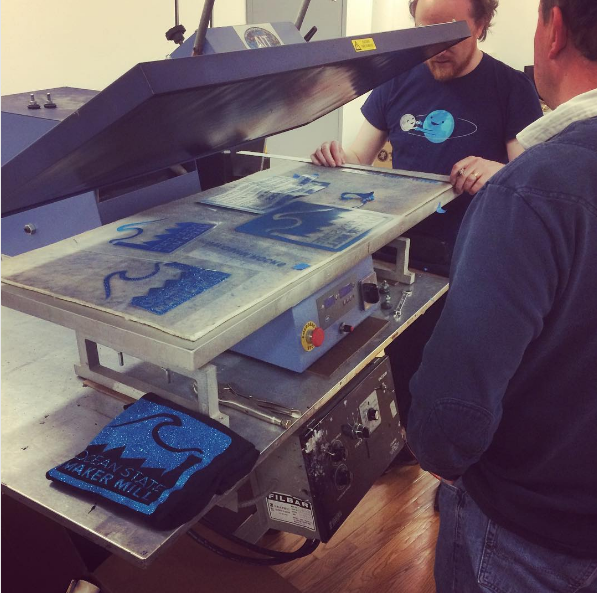 Ocean State Maker Mill is pleased to announce two new classes! 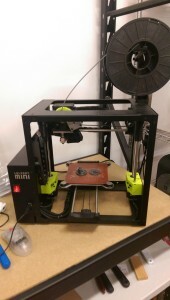 Join Matt Stultz, 3DPPVD founder and Make: Magazine Digital Fabrication Editor, for an in-depth dive into your personal 3D printer to get everything set up and running in top-shape. 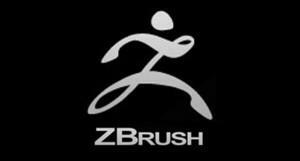 Learn ZBrush basics from OSMM’s very own Jason Loik! This class will take you through the basics of ZBrush to get you started in creating 3D models. More details on our Classes page – hope to see you there! Join us for our next class on Thursday, 12/10 from 6:00 – 9:00 PM, for an introduction to 3d Printing! 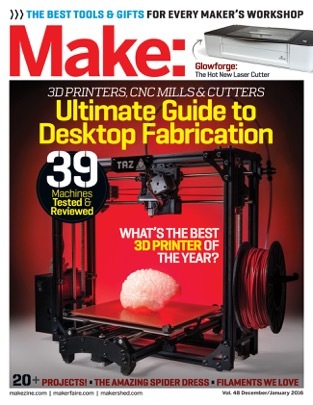 Join Make: Magazine’s 3D Printing Editor Matt Stultz as he guides you through the basics of 3D Printing and Digital Fabrication. In the past few years, 3D Printing has exploded in growth and popularity, but what is it… and what can you do with it? 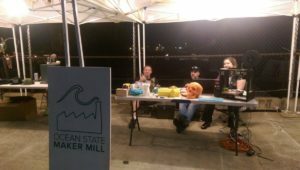 It’s a big week for Ocean State Maker Mill and 3DPPVD! 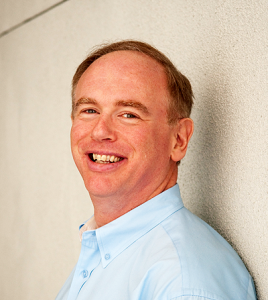 Join us this Wednesday, 11/11 at 7pm and meet OnShape founder Jon Hirschtick! Jon will be joining us to demo some of OnShape’s features and answer questions. Please register with us for this FREE event via Eventbrite so we know how many to expect. Hope to see you there! Once you’ve had fun with us on Wednesday, you’ll want to come back for Friday’s party! 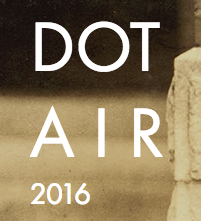 Join us on Friday, 11/13 at 7pm for the Make: Volume 48 / 2015 Digital Fabrication Issue Launch Party! Come out and meet 4 members of this year’s Make: Digital Fabrication Testing Team, and ask them any digital fabrication questions you have in mind. 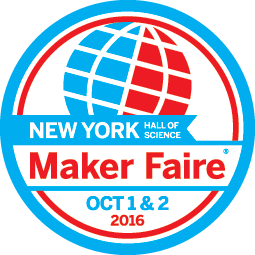 See live demos of this year’s top 3D printers, CNC machines and other digital fabrication equipment. Please register with us via Eventbrite for this free event, so we know how many snacks to procure!